Abortion Rights Stand up for Choice! 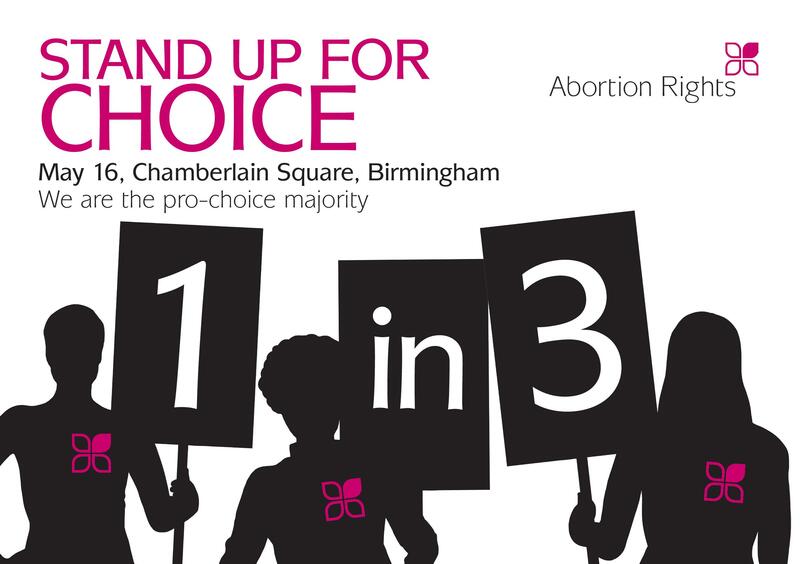 Abortion Rights has called for a protest to oppose the anti-choice March for Life, in Birmingham on Sat May 16th. March for Life is a consortium of anti-choice groups who have a shared legacy of using tactics of intimidation and harassment. We want to send a strong message out that March for Life’s anti-choice views are not representative of the majority of society when 76% of people support the current legal right to abortion! Stand with the pro-choice majority and make your voice heard! Assemble for coach outside Birkbeck Uni, Malet Street, London WC1E 7HX at 9.30am. RALLY in Chamberlain Square, Birmingham at 2pm.